In Delight Boutique Hotel, we do our best to ensure that your stay is comfortable and free of everyday life concerns. 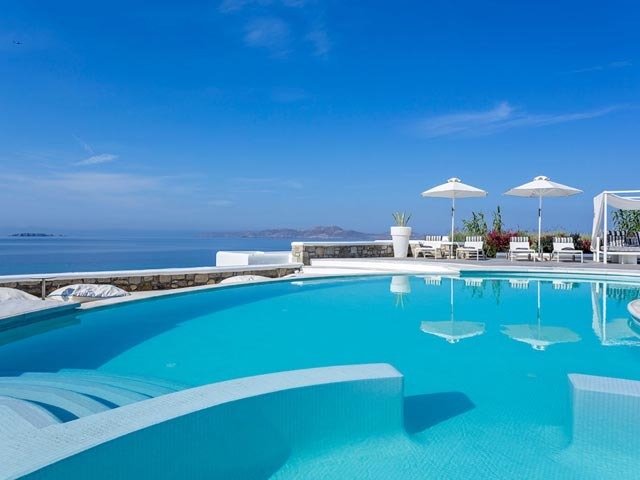 The concierge provides a personalized service to give you an insider’s look of Mykonos Island. The staff of De.light Boutique Hotel will make all the necessary arrangements that fulfil your daily wishes. 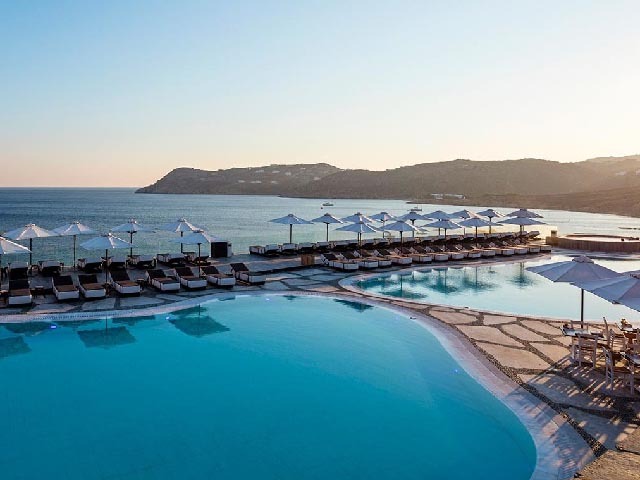 Provided services include restaurant reservations, excursion planning, car and boat rentals and anything to help you experience the cosmopolitan island of Mykonos with daytime and nightlife suggestions. Our 24hrs guest service is happy to take care of your every need with complimentary Mykonean delicacies upon arrival, laundry services, valet and butler services, twice daily maid service and all day in-suite dinning with concern to your special dietary needs. And for a bit of necessary pampering, visit our private Spa room for a facial and body treatment to feel rejuvenated after a long day under the hot sun! 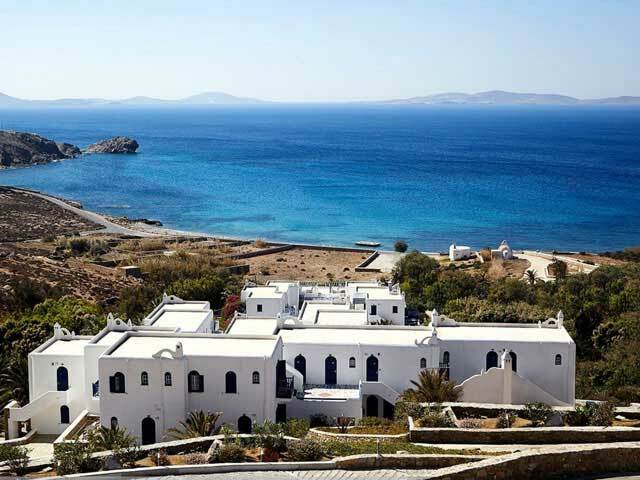 DeLight Boutique Hotel is situated at location of Agios Ioannis Bay.On the west side of the Island , 4km from Mykonos Town. Agios Ioannis Bay features one of the most picturesque and relaxing places on the Island, overlooking Delos island, the Centre of Cyclades complex, where the sunlight is of even greater brightness and penetrating clarity than most of the other places in the world. The one bedroom suite has a living space furnished with natural colours and fabrics, queen size bed (premium quality), an open bathroom with jet shower, steam cabin and private use terrace with outstanding views of the grand blue of the Aegean Sea. Situated on the upper level of De.light hotel, these stylish and picturesque suites offer the ultimate experience of Mykonian hospitality. Superior suite is a one space suite consisting of a large living room area furnished with natural coloured sofas and fabrics ensuring a relaxing atmosphere. The suite features queen size bed (Coco-Mat, “sleep on nature” luxury brand), bath tub, private use balcony or veranda with breathtaking views of the Aegean Sea. Bedroom, sitting room, bathroom with Jet shower and steam bathing, private use veranda with an outdoor ‘state of the art’ Hot Tub and a panoramic sea view. Open plan suite of 35 sqm located on the upper floor of the hotel. A perfect accommodation for young couples and honeymooners. This suite features a premium quality queen sized bed, a Nespresso coffee machine with capsules, a walk in shower and an outdoor Jacuzzi. Most importantly this suite offers one of the most stunning views in the hotel and absolute privacy. This impressive 60sqm open plan suite offers you 24h high-end comforts from the first second of your arrival. Bedroom, living room, dining area, Nespresso coffee machine with capsules, sofa bed, bathroom with shower and/or indoor Jacuzzi bathtub, outdoor Hot Tub and a spacious veranda with unlimited sea views. Situated in a privileged private location, Delight Suite is a unique combination of elegant design, authentic Mykonian architecture and outstanding views of the Aegean Sea and Delos Island. This luxurious accommodation features a comfortable queen size bed (Coco-Mat, “sleep on nature” luxury brand) specially selected to ensure highest sleeping quality, private infinity pool and private large terrace for outdoor dining. Offering an open plan lay out this suite decoration stands out harmoniously combing the environmental beauty with minimal touches. Tastes of De.light Hotel are a feast. Our pool- restaurant and the restaurant “Authentic” offer a gastronomic experience meant to stimulate all of your senses. We carefully select fresh seasonal products from the land and sea of Mykonos and our chef prepares a degustation menu of sophisticated, healthy dishes based on traditional Mykonian recipes with a modern and creative twist. What we prepare with love, we serve with a smile in both restaurants, located by the pool, offering breathtaking views of the Aegean Sea. You can start your day at the “Pool Restaurant” with a rich Mediterranean breakfast; during the day you may enjoy a variety of Greek and international delicacies by the pool; at night you shall be tempted by a candlelit dinner in “authentic restaurant”, under the clear-full of stars- sky. This memorable gourmet experience can be completed with a bottle of wine from our wide selection of fine Greek wines. What better way to end a long day than to spoil yourself with a luscious desert while following the reflection of the moon on the calm sea to the sound of soft music! Inspired by Ancient Greek hospitality and tradition in De.light Boutique Hotel we created a gastronomic experience set to make you feel blissful and fulfilled. Like having the divine inspiration to write a poem or a song, in Authentic Restaurant we offer unique flavors from the past, combined with modern techniques and local ingredients and we create a memorable gastronomic experience for you! 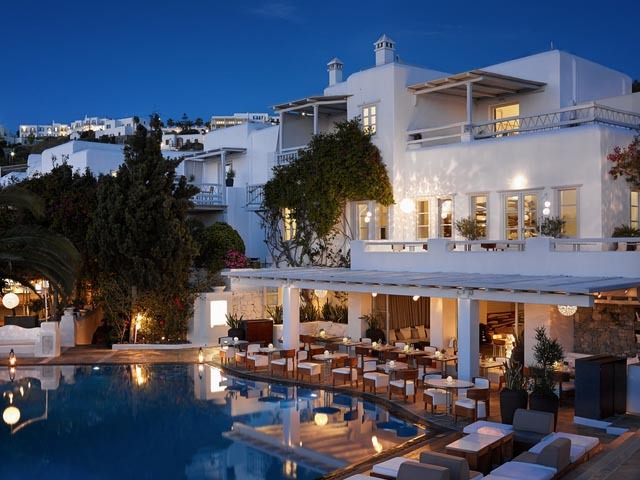 So, what is the gastronomic experience in De.light Hotel in Mykonos? Products are the lyrics, music is the recipe, and the combination is a song written for all senses. A song inspired by the ancient Greek gastronomy, a small culinary “saga” full of inspiration, creativity and taste. Authentic restaurant has been created to stimulate the senses and create unique feelings. The process is reminiscent of the mystery that accompanies ancient Greek stories and myths. Here the tastes are light and refreshing like the breeze from the Aegean Sea, mysterious and ready to be discovered as the deep blue sea. Here you will enjoy tastes full of wisdom and love. A combination of local products, hospitality and flavours create an experience that surpasses your culinary expectations, travels you around the world like a modern mythological hero and fills you with joy. Our menu is like a poem. Has Introduction (instead of starters), Synthesis (instead of main courses) Conclusion (for desserts) and inspiration. Local products and traditional recipes are recreated through new combinations and modern techniques presented today, carrying all the knowledge and taste of the past. Authentic Restaurant in Mykonos De.light Hotel lies under the moonlight and is the spot, where gastronomic mystery takes place under the watchful eye of God Apollo and Goddess Artemis, who were born in the neighbouring island of Delos. This is your chance to live a divine experience of the procedural sensation stimulating body and soul over a journey on a curve of local products and hospitality in a culinary art process. Sense Authentic… is the restaurant of De.Light Boutique Hotel, where an Ancient Greek gastronomic experience has been created based in the genuineness that came from the past to today carrying the same significance. Balance is Excellence and the gastronomic experience in Authentic Restaurant is where you can feel this.